What is next for Stana Katic after “Castle” exit? After eight years, Stana Katic better known to viewers as Detective Kate Beckett is leaving “Castle.” ABC announced this week that Nathan Fillion’s TV wife will be departing the detective drama after Season 8. While her departure from the popular series is heartbreaking to fans and a huge loss to the network, Katic can look forward to a busy year ahead. According to her IMDB page, Katic has completed filming three new movies slated for 2016 while on break from “Castle.” One of her projects is “Sister Cities,” an independent drama based on a play by Colette Freedman. Katic will star alongside “The Good Wife” alumni Jess Weixler, “Pretty Little Liars” actress Troian Belisario and “Gossip Girl” regular Michelle Trachtenberg. According to Variety, “Sister Cities” revolves around four estranged sisters who reunite after losing their mother to what they believe is a suicide. Each sister is named after an American city, as different and far apart from each other as sisters. Amy Smart, Alfred Molina, Kathy Baker and Tom Everett Scott complete the cast. Sean Hanish serves as the producer and director. In “The Rendezvous,” Katic goes back to solving mysteries as Rachel Rozman. The film is based on a novel by Sarah Isaias about a “mis-matched” couple that goes on to an adventure to search for the “Dead Sea Scroll” said to be hidden in the ancient city of Petra. 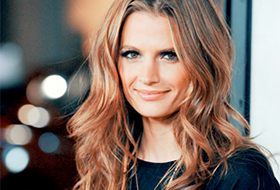 Moreover, Katic’s fans should not be too disappointed about her departure from “Castle” because the actress will not be straying away from television despite her blooming and increasingly busy movie career. She revealed to ET Canadathat she is developing a new television series for cable, but she refused to divulge further information because, as she quipped, she will probably be in trouble for talking about the project. 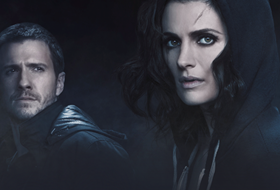 With all these lined up, Stana Katic does not really need Rick Castle anymore.